Grove Creek Falls is a must-see for visitors to the Abercrombie Caves area. 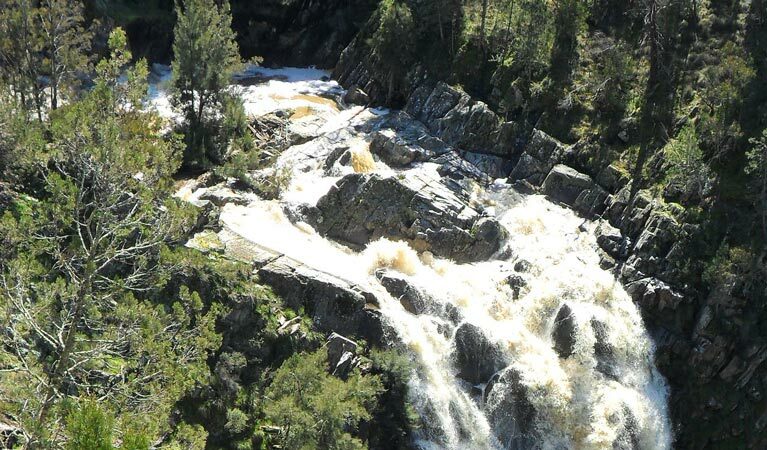 This walking track offers magnificent waterfalls, bushwalking, fishing and picnicking. There is no mobile reception in this park, but a public phone is available at the visitor centre. 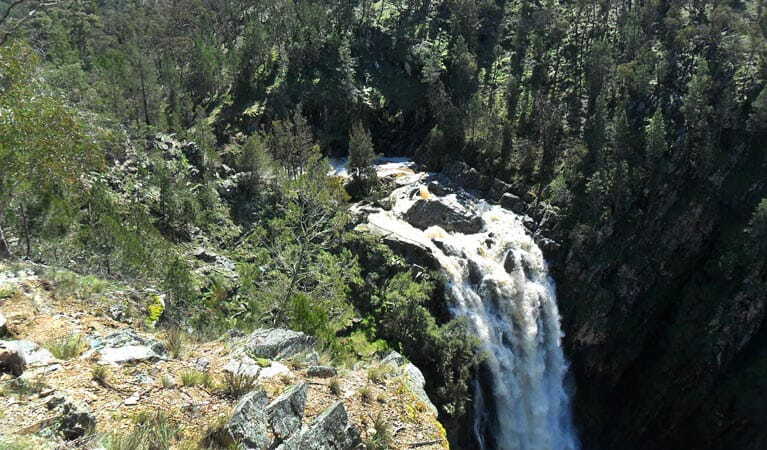 This walking track takes you through bushland alongside the picturesque Grove Creek, and finishes with dramatic views of the Grove Creek Falls. Stand at the lookout and watch the tranquil waters of the Grove Creek tumble over a sheer cliff and fall some 70 metres to the rocks below. For day-trippers or those with limited time, you can also reach the falls by road. Pack a picnic and thermos and enjoy a tasty sandwich and hot cuppa as you admire the magnificent waterfalls. Stroll back along the creek and enjoy birdwatching along the way. You’re bound to see plenty of colourful parrots and rosellas as you wander back to the visitor centre. Thursday to Monday, 9am to 4.30pm. During NSW school holidays, 9am to 4.30pm daily. Closed Christmas Day.